Will Johnson | Clarksville Sports Network - Clarksville Tennessee's most trusted source for sports, including Austin Peay State University. 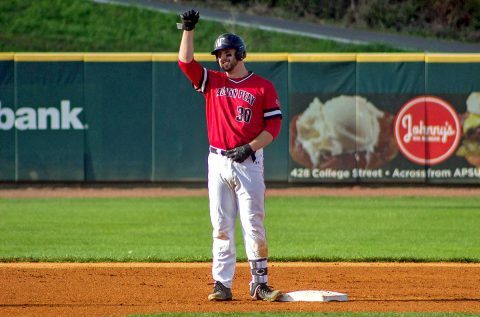 Richmond, KY – The Austin Peay State University (APSU) baseball team grabbed early leads in both halves of its Ohio Valley Conference doubleheader against Eastern Kentucky, Saturday, but could not hold on in either case and fell 9-2 and 11-3 at Earle Combs Stadium. NASHVILLE – Murray State senior quarterback Casey Brockman was named 2012 Ohio Valley Conference Preseason Offensive Player of the Year while Southeast Missouri State senior linebacker Blake Peiffer was tabbed OVC Preseason Defensive Player of the Year in a vote of by the league�s head football coaches and sports information directors. Eastern Kentucky led the way with 10 selections on the preseason team while Murray State, Tennessee State and Tennessee Tech had three picks apiece. No Austin Peay football players were selected. 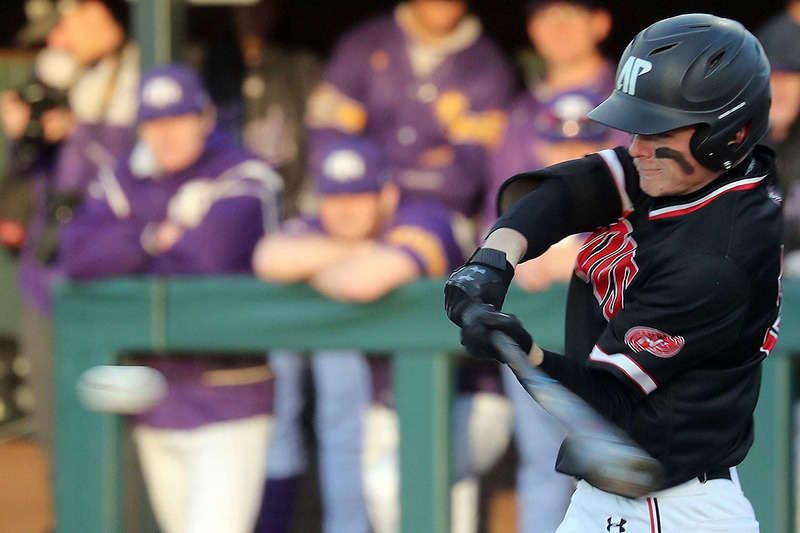 Returning players who were first-team All-OVC selections last season (13 in total) were automatic selections to the preseason team this year. The squad also included nine players who were second-team selections in 2011. Of the 26 total selections, 18 were seniors, six were juniors and two were sophomores. The offensive unit was led by Brockman who was tabbed Preseason Player of the Year for the second-straight season. Brockman set numerous OVC records last season while throwing for 3,276 yards and 25 touchdowns, rushing for four touchdowns and even catching a pair of touchdown passes. He enters this season with a chance to become the OVC�s all-time leader in passing yards. He is joined on the team by Eastern Kentucky senior running back Matt Denham (1,570 rushing yards, 9 TDs) and Jacksonville State tailback Washaun Ealey (1,082 rushing yards, 8 TDs), Eastern Kentucky senior Tyrone Goard (39 receptions, 627 yards, 11 TDs) and UT Martin senior Quentin Sims (54 catches, 712 yards, 10 TDs) at the wide receiver spot and Eastern Illinois senior tight end Von Wise (32 catches, 348 yards, 2 TDs). The offensive line included three Eastern Kentucky players, senior center O.J. Enabosi and senior tackles Aaron Adams and Patrick Ford. The line was rounded out by Jacksonville State senior guard Tori Mobley and Tennessee State junior guard Kadeem Edwards. Defensively Peiffer ranked third nationally in tackles/game last season (13.7), finishing the year with 151 total stops, which set the school�s single-season record. Four linebackers joined Peiffer on the team including Eastern Kentucky juniors Anthony Brown (59 tackles, 10.5 RFL, 3.5 sacks) and Ichiro Vance (78 tackles, 9.5 TFL) and the Murray State duo of senior Sam Small (115 tackles, 9.5 TFL) and junior Qua Huzzie (80 tackles, 14.0 TFL, 3.0 sacks). The three defensive linemen selected to the squad were Tennessee Tech senior Marcus Edwards (41 tackles, 9.5 TFL, 5.0 sacks), Eastern Illinois senior Artavious Dowdell (45 tackles, 7.5 TFL, 5.0 sacks) and Tennessee State junior Antonio Harper (44 tackles, 9.0 TFL, 6.5 sacks). The four defensive backs on the team included the Tennessee Tech duo of senior Will Johnson (45 tackles, 2.5 TFL, 1 INT) and sophomore Austin Tallant (92 tackles, 2.0 TFL) and Eastern Kentucky senior teammates Justin Bell (48 tackles, 2 INTs) and Brooklyn Fox (80 tackles, 3 INTs). Specialists selected to the preseason team included UT Martin senior kicker Cody Sandlin (14-of-17 FGs, 45-of-48 PATs), Eastern Kentucky junior punter Jordan Berry (41.0 yards/punt) and Tennessee State sophomore return specialist Weldon Garlington (20.9 yards/kickoff return, 1 TD; 19.4 yards/punt return, 1 TD).